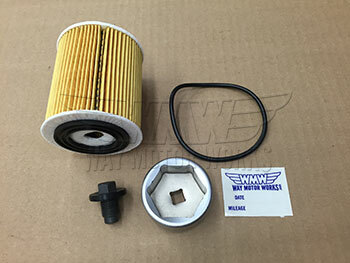 First oil change kit for 2002-2006 R50 R53 MINI Cooper and Cooper S and 2005-2008 R52 MINI Cooper Convertible. If you're getting ready to do the first oil change you've done on your MINI this is what you need. It has the socket you need, and parts for the service.